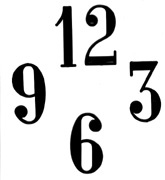 Clock Numerals with NON-ADHESIVE backs. NON-STICK. To apply add your own choice of adhesive to numeral backs. IMPORTANT: Test your adhesive first to be sure that it doesn�t dissolve the plastic. Note: For any sprues that may left on pieces us a sharp craft knife to carefully remove. 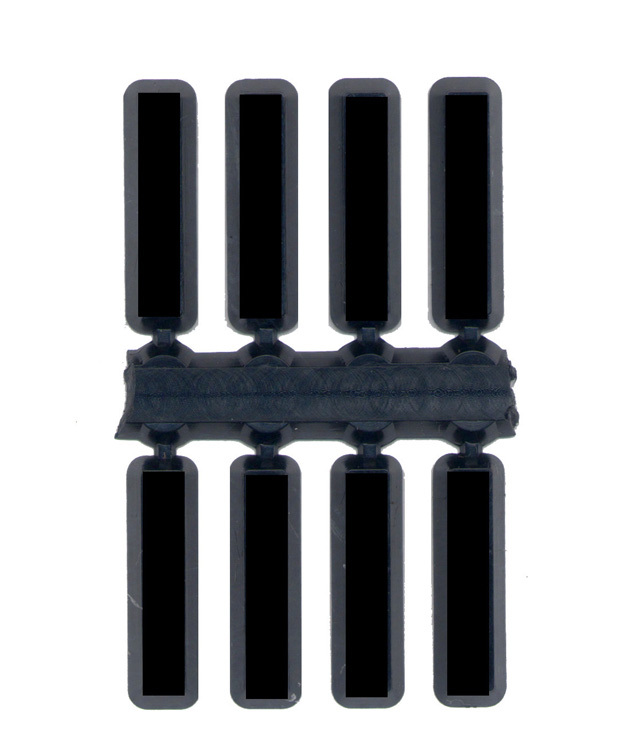 Large Black Plastic Numerals measure 3"H. Glossy finish. 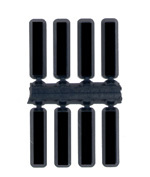 Set of 12, 3, 6 & 9. Example of LARGE NUMERALS mounted directly to a wall. 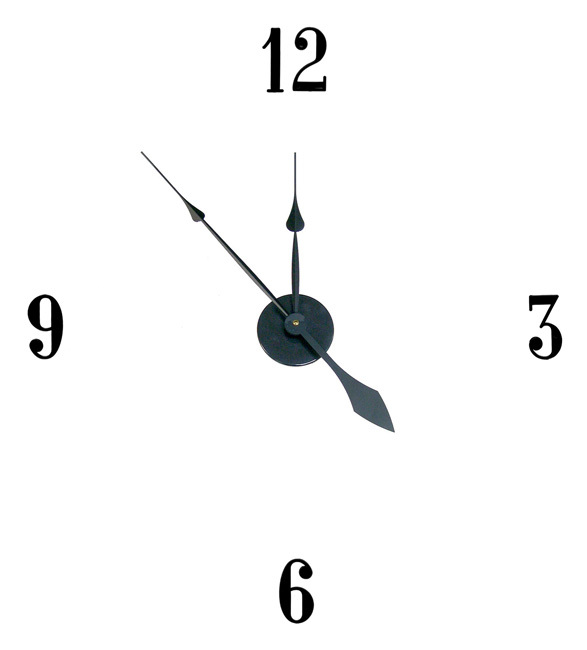 Slashes for DIY Clock Dials. Glossy black plastic. 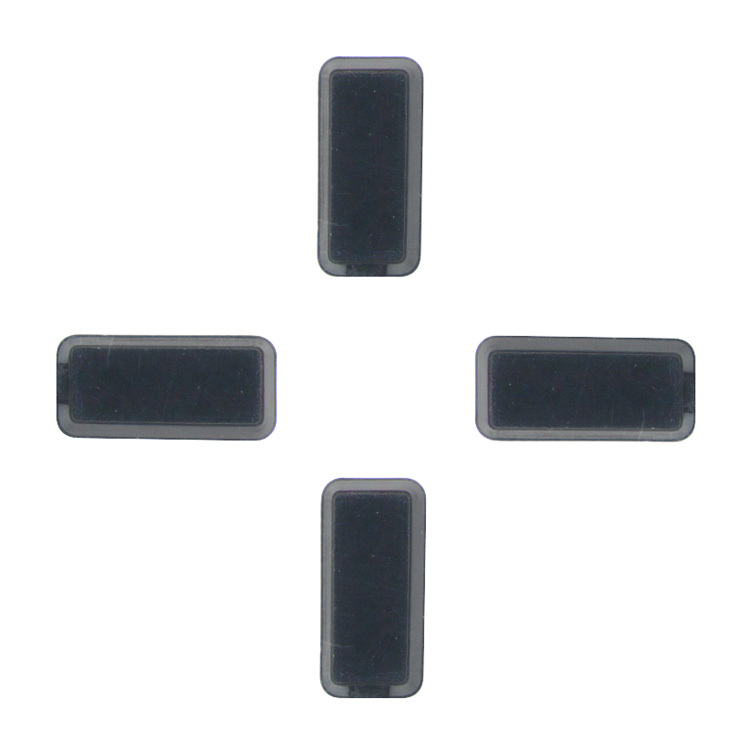 Slashes measure 3/4" x 3/16" with beveled edges. Non Adhesive Backs. 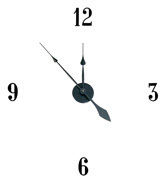 Slashes for DIY Clock Dials. Glossy black plastic. Slashes measure 3/8" x 5/32" with beveled edges. Non Adhesive Backs. 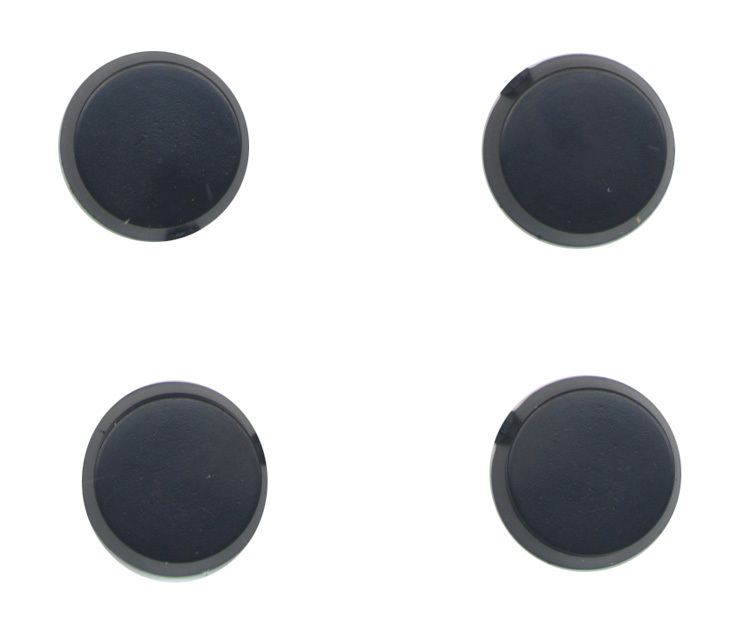 Dots for DIY Clock Dials. Glossy black plastic. Dots measure 5/8" in diameter with beveled edges. Non Adhesive Backs. Dots for DIY Clock Dials. Glossy black plastic. 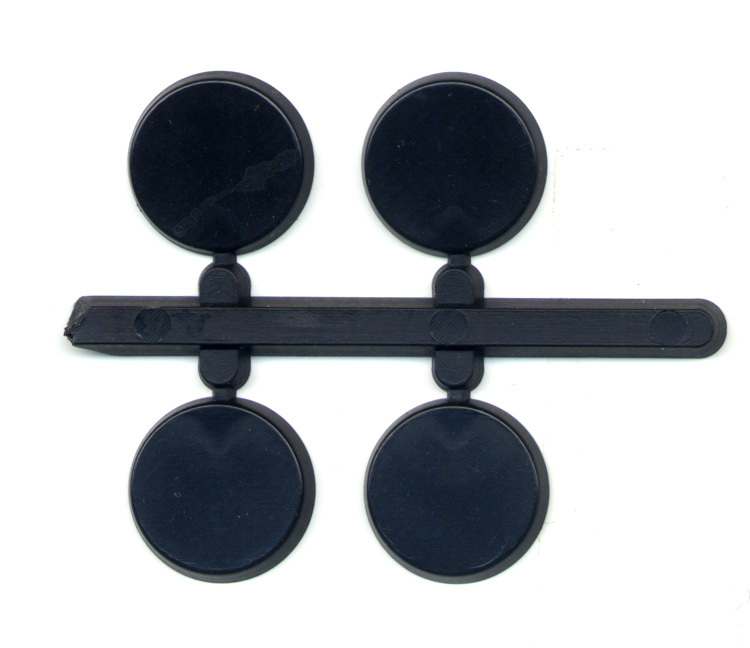 Dots measure 5/16" in diameter with beveled edges. Non Adhesive Backs.